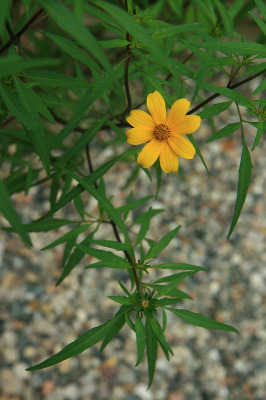 B. coronata of Michigan Flora. In the same habitats as B. cernua, but more frequently than that species in peatlands (bogs, fens, tamarack swamps). The awns and, more sparsely, the margins of the achenes are antrorsely ciliate in this species, which is a very showy plant. MICHIGAN FLORA ONLINE. A. A. Reznicek, E. G. Voss, & B. S. Walters. February 2011. University of Michigan. Web. April 19, 2019. https://michiganflora.net/species.aspx?id=251.